Now for those of you have been reading my blog for a long time will know that I am no big fan of Shakespeare in the context of teaching in an international environment. I don’t see a lot of point trying to teach theatre practice through an arcane language that obfuscates its meaning at every turn – see what I mean? However, I do like Shakespeare’s plays and have seen some incredibly powerful performances in my time. Also the history and myth behind the man is really interesting. One of the most enjoyable experiences I have had is being stood in the pit, in the open air, watching a production of Measure for Measure at The Globe Theatre in London a few years ago. If you don’t know anything about The Globe, it is a reconstruction of an Elizabethan playhouse on the south bank of the River Thames, London, that was originally built in 1599. It is well worth a visit if you are ever in London. So why am I writing about it today? Well The Globe is in the process of finishing the building of another theatre on its site, but this time a reconstruction of a Jacobean playhouse (which has a roof this time) and will be lit by candles. The new theatre opens next year and will be known as the Sam Wanamaker Playhouse, named after the american actor and director who is credited as the person most responsible for the modern recreation of The Globe. ‘Oh, for a muse of fire that would ascend, the brightest heaven of invention…” So begins William Shakespeare’s Henry V; but it was a wish that would come back to haunt the playwright with unfortunate literalism a few years (and Henrys) down the line. Four hundred years ago this week, on 29 June, during a performance of Henry VIII at the Globe theatre on Bankside, wadding from a stage canon did indeed ascend up through the theatre’s ‘wooden O’ – setting fire to that circular thatched roof. The Globe burnt to the ground; a contemporary account records that the blaze “burned so furiously, as it consumed the whole house, all in less than two hours, the people having enough to do to save themselves”. Not that the Jacobeans were too precious about it: the Globe was rapidly rebuilt – only this time, with a tiled roof. It lasted till 1644, when it was demolished after the Puritans closed England’s theatres. Its 17th-century resurrection was certainly swifter than the modern project to rebuild Shakespeare’s Globe on the banks of the Thames. American actor Sam Wanamaker conceived of the idea way back in 1949, and founded the Shakespeare Globe Trust in 1970, but it didn’t actually open its doors to the public till 1997 – after Wanamaker’s death. Even then, it couldn’t be said to be wholly complete. For Wanamaker’s vision was always that both of Shakespeare’s theatres should be brought back to life – an outdoor playhouse and an indoor theatre, too. It is, to some degree, a testament to the huge popular success of his plan that the public concept now of what Shakespeare’s theatre was like, is the Globe: almost circular, open-air, highly decorated, with a standing pit for rowdy groundlings. But that’s only half the story. Each year from 1609 onwards, the company Shakespeare acted in, and wrote for, The King’s Men, played indoors at the Blackfriars theatre across the river during the winter. His plays, being year-round popular, would have to work indoors and outdoors, but it is thought The Winter’s Tale and The Tempest were written, initially and ideally, for an indoor venue. So when Shakespeare’s Globe was being rebuilt in the Nineties, they also threw up a brick structure next door that could, at a later date, when more funds were raised (the Globe does not receive subsidy), be fitted with an indoor Jacobean theatre. This is currently, finally, being realised; christened the Sam Wanamaker Playhouse, its first season opens January 2014. The structure is based on drawings which were found in the 1960s; falling out of a book in Worcester College Oxford, they showed detailed plans of a Jacobean theatre space. It felt like a gift – but has, in fact, complicated matters somewhat… The drawings were thought to hail from the early 17th century, but at an architectural symposium held at the Globe in 2005, an art historian who had studied the documents dropped a bombshell: drawn by John Webb, they dated from 1660, and were therefore certainly not ‘Shakespearean’ (he shuffled off this mortal coil in 1616). These plans were radically different to Blackfriars anyway, which we know was itself a conversion of an old medieval hall. Should they try to recreate that instead? But the outdoor brick shell was already in place – it will provide modern entrances and access to a traditional timber-framed structure built actually inside it – and this existing footprint followed the size and spec of the Webb drawings. So it was decided that they should stick with plan A: it would not be, like the Globe, an as-close-as-possible best guess at an actual named playhouse, but instead a “Jacobean archetype”, a theatre that Shakespeare and his contemporaries would, at least, have felt at home within. And it should recreate the conditions and atmosphere of playgoing in the early 17th century. The wooden space is intimate, will be rather magically lit by candles, and promises very different acoustics to the open-air Globe. Which was handy for Peter McCurdy, the man who built the Globe and who is now the master craftsman for the Sam Wanamaker Playhouse (SWP). While the building may have been a dream for decades, once they got the green light, funding-wise, it’s all happened astonishingly quickly; McCurdy began building in his workshop last September, and moved on site in April. I was given an early look in at the start of this month, and while scaffolding was still being pivoted above our heads, you already get a good sense of the space – a 320-seater, with two levels of galleries curving round three sides of the stage and a small pit for seats in front. It feels very intimate; the stage is about a quarter of the size of the Globe’s, and some seating is right up flush to it. In Shakespeare’s day, some of the Blackfriars audience even sat on stage, on stools – it was very much a ‘see and be seen’ place, with tickets much more expensive than the Globe’s. The Shakespeare author and professor at Columbia University, James Shapiro, quips “if you wanted to impress somebody, you’d take them to Blackfriars, like date night, throwing round the money; if you were looking to pick someone up, you’d go to the Globe…”. Even the cheapest tickets at the SWP will be twice the price of those at Shakespeare’s Globe (£10 instead of £5). McCurdy, an expert in historical reconstruction and traditional building methods, oversees everything from what type of wood is used (oak for the main structure; Scots pine for the seating and stage) to researching the correct shapes for the pillars and the amount of decorative painting – which is still being debated. “It’s a lot of detective work. You have to find historic precedent and models; without that you’re just inventing history,” says McCurdy, who spends much time researching still-standing Jacobean buildings, as well as drawings and contemporary accounts. “It is almost experimental archeology: one is learning the process,” explains McCurdy. “One has got to be careful it doesn’t become a pastiche. It doesn’t want to look like you’ve cherry-picked [Jacobean features]; it’s trying to subtly bring them together so they have both harmony and integrity.” All of the wood is hand-finished to give as historically accurate a look and feel as possible, although modern-day power-tools are used in the construction process for speed and affordability. Even so, the project has cost £7.5m. The question of historical authenticity is one that previously plagued the whole Globe project. In the Seventies, Wanamaker’s vision of rebuilding the first 1599 Globe was widely derided: “the concept of reconstructing the theatre seemed quite ridiculous to a lot of people in those days, and even in the 1990s there were a lot of naysayers, people who thought it was going to be destructive to Shakespeare and the history of theatre, rather than instructive – which is what it’s turned out to be,” says Karim-Cooper. The fear was of a “Disneyfication of Shakespeare, historicising him to such an extent that he no longer has that cultural relevance that we worship now”. Some scholars and commentators sniffily pointed out it was impossible to recreate the experience of Elizabethan theatre – there were just too many practical unknowns, and we, as audiences, are different anyway – and that to try was to ensure modern productions became mere “museum theatre”. Heavens – the whole thing was even proposed by an American. When Shakespeare’s Globe finally opened, under the artistic direction of Mark Rylance, it became not just a laboratory for investigating historical stage practices (Rylance has called it “the most experimental theatre space in England”), but a huge popular success. However, there were initially still many disgruntled voices: academics for whom it wasn’t accurate enough, and directors, designers and actors for whom it was too accurate. Many felt there was no room for their artistic vision in the elaborate design of the building, or felt exposed by the proximity of the standing audience, the daylight and the British weather. Then there were critics who were snobbish about tourist audiences who laughed at the wrong places. Anyone who has seen a show at the Globe will recognise the effect the open-air space has, re-invigorating interaction between audience and actors. Rylance has suggested that unexpected comedy was “truly revealed in Shakespeare’s writing by the reconstruction”, but critics have not always agreed. Productions were accused of being pantomimic, or likened to football matches. But today, the Globe is an established part of the theatrical landscape of Britain, and under the more recent directorship of Dominic Dromgoole, has also been home to new writing and international companies, as seen last year during the Cultural Olympiad. It’s still not to everyone’s tastes, but many scholars have found performance experiments there into Original Practices (all-male casts; traditional costume and music) illuminating, while many actors and audiences have found the immediacy of the space throws up new insights into Shakespeare (and other writers), be that unexpected laughter or moments of poignancy. What effect it will have on performances remains to be seen; much as the construction is a process of discovery-through-doing, so practitioners, playing with plays in a new playhouse, may be surprised by what emerges. But there are a few features that are notable: the intimacy, the candlelight, the actors holding torches onstage, plus much more subtle acoustics, and therefore greater impact from music. Sadly, you won’t get to see that magical transformation in the SWP’s opening season in January. It’s ambitious in its programming: there’s a co-production with The Royal Opera of Cavalli’s L’Ormindo, and a new company of talented teenage actors – mimicking the Jacobean craze for ‘boy players’ performing satirical adult dramas – will stage John Marston’s The Malcontent. But there is, oddly, no Shakespeare; in a bizarre programming move, Dromgoole begins with John Webster’s Duchess of Malfi and shuns Will entirely. Very strange – although he’s promised that “in time we will perform the plays of Shakespeare in there”. Whether or not the company will transfer summer Globe hits into winter SWP shows, as The King’s Men would have seasonally re-housed their repertory, is not yet clear. Well, I’m now on vacation. I have spent the last week packing up my department. When we return in August we are moving into brand spanking new facilitates, state of the art teaching and performance studios, and we are all very excited. So many possibilities. Amongst all this I watched a truly inspired performance of Artaud’s Spurt of Blood by our Theatre Arts students, more of which I will share in another post. What a week! But enough of all that. What I want to share today is another blog Chasing The Trickster. It is written by Ashley Scott-Layton, who is an English writer-director and it charts his travels across Europe to discover more about European theatre practice (and how it differs to that of his homeland). In his own words, the blog will track my forays into the rehearsal rooms of Europe, where I hope to learn more about the exciting theatre cultures of each country. It is a fascinating read and you can drop in and out as you wish. By the way, the name of his blog comes from European folklore where The Trickster is a shape shifting rogue known for disobeying normal rules and conventional behaviour. For a group of anonymous Syrian artists who have mocked Bashar al-Assad and criticised the armed resistance, it is a bold move. Masasit Mati, creators of the YouTube finger-puppet show Top Goon: Diaries of a Little Dictator, have begun to perform the satirical series live inside the war-torn country in an attempt to bolster peaceful protest and spur the revolutionary art movement. The series, which will be shown in London next month as part of the Shubbak festival of Arab culture, caricatures Assad through the puppet Beeshu, the brutal, childish son of a dictator with a beaky nose and saucer-shaped ears. He is protected by his sinister and unquestioning henchman, The Goon, while ordinary Syrians are portrayed as brave and idealistic. Speaking via Skype from Lebanon, the show’s director, Jameel, said they decided to use puppets to protect the identities of the 10 artists involved and because their small size “was a good way of lampooning the regime that presents itself as godlike”. The first series, launched in autumn 2011, attracted more than 200,000 views on YouTube and was broadcast on the Dubai-based Syrian opposition channel Orient TV. But escalating violence and power blackouts shrank the domestic audience for the second and third series. So in January the group surreptitiously travelled into the rebel-held town of Manbij in the northern region of Aleppo to perform live in an arts festival organised by local activists. The town had enjoyed relative calm for a month, with no attacks or kidnappings, but on the day they arrived it was bombed by Assad’s forces, leaving 12 dead and dozens more wounded. Top Goon draws on Assad’s speeches and biased state TV coverage of the uprising to highlight and subvert the regime’s propaganda. The group is preparing for live performances in Aleppo and the northern regions, which it hopes will support local artists. Arts committees and newspapers have been set up in rebel areas, but some have been shut down by hardline elements of the Free Syrian Army. If you want to read more you can here in The Washington Post, or here in Global Post and there is a fantastic documentary here: Little Dictator – Witness – Al Jazeera English. A couple of posts from me today. Firstly this article published in The Observer today. Written by Dayla Alberge, it is a bit of a tirade from two leading figures in the theatre world who consider that language is being mangled on stage in bid to imitate American film stars – and audiences are being let down. Too many actors mumble their way through their lines, neither enunciating nor projecting words clearly enough for audiences to understand them, according to leading figures in theatre. Edward Kemp, artistic director of the Royal Academy of Dramatic Art (Rada) and actress Imogen Stubbs are infuriated by the mutterers, who they believe let down playwrights and audiences. Kemp said that some directors and producers encouraged mumbling, believing that “laidback mumbling is more truthful”. 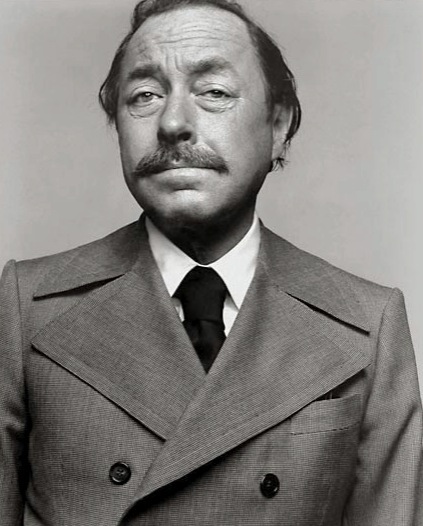 Stubbs, who has appeared in scores of stage roles, including the part of Sally Bowles in Cabaret and Desdemona in Othello as well as film and television dramas, added that muttering – with its lack of variety and tonal interest – was perhaps a misguided attempt to imitate American film stars. “It was so drummed into us at drama school that ‘it’s unforgivable not to be clear and heard’,” she said. Kemp and Stubbs regularly encounter stage mumblers. Kemp said: “There’s usually someone [about whom] you think, ‘sorry, what? '” Stubbs appeared in one production where she even found herself having to lip-read a mumbling co-star. 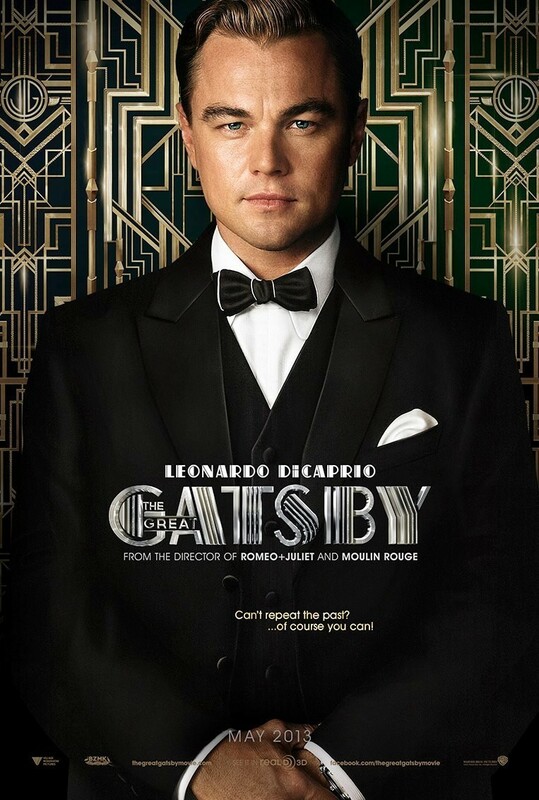 Although their criticisms focus on theatre, they are also irritated by mumbling in film and television, including Baz Luhrmann’s The Great Gatsby. Stubbs, a Rada council member, questioned whether Luhrmann had heard of commas or full stops. Kemp, also a playwright, feels that part of the problem lies in actors being encouraged to improvise scripts, delivering “something like [what’s] on the page”, rather than the writer’s finely crafted original. “A lot of directors want you to jazz it up,” he said. The demise of repertory theatres has robbed young actors of opportunities to learn the craft of using the voice, while typecasting has also taken its toll, Stubbs suggested. “The naturalistic, mumbling acting style tends to go with people who are playing something closer to their obvious self … People who are playing against their obvious self tend to embrace the acting a bit more,” added Stubbs. Part of the problem also lies in the education system. Teenagers leave school unable to understand what they are asked to read, with no apparent relationship with language, let alone a sense of how to shape it, Kemp said. There is no longer a guarantee that even someone with an English degree from a leading university could handle this stuff, he added. Rada has introduced grammar classes because of this problem. Kemp spoke of one student – an Austrian – with a finer appreciation of English grammar than a room which included at least one Oxford graduate. Audiences are voicing frustration online. 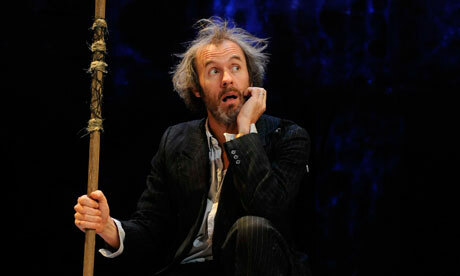 Stephen Dillane is among actors whose mumbling has irritated them. Of course, every actor mutters sometimes, and Stubbs joked that her criticism could come back to haunt her. The crazy nature of the end of the academic year has kept me away from here for a couple of weeks; so much to do and so little time to do it in. I’ve got a backlog of things to post and will get going once term is over. However, I thought I would share this article with you that was published in The Independent a few days ago. It is written by playwright and dramaturge, James Graham and talks about his adaptation of Tennessee Williams’ play Sweet Bird of Youth. My confession is that I’d never read, seen or barely heard of Sweet Bird of Youth before the director Marianne Elliott introduced me to it. Possibly you haven’t either. For many it’s the blind spot in an otherwise familiar catalogue by that genius American playwright. It has something of a reputation for being… well, a “bit of a problem”. It’s a gruelling challenge to produce, certainly. But having been on this journey for the Old Vic’s new production of the play, I firmly believe it’s a valuable one. And, as a playwright used to writing original work (my latest This House just ended its run at the National Theatre), the notion of dramaturging someone else’s play – whereby an existing text is analysed and edited – was unknown territory for me. 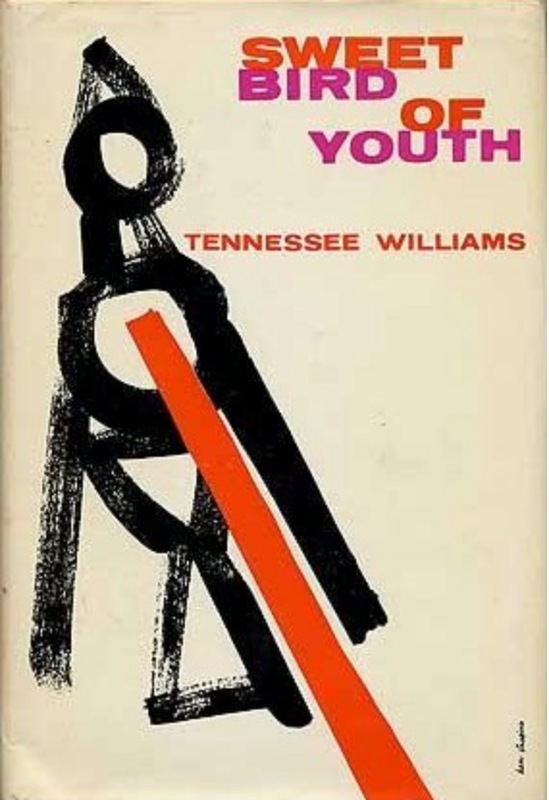 What I hadn’t expected was not just how the themes of this neglected masterpiece would grow to haunt me as a young(ish) man, but how much my journey in search of Tennessee, and the discovery of how much this one tortured him – really, truly, tortured him – would affect me as a playwright. And to avoid any hubris, it obviously isn’t. Art is too subjective a thing for there to be a “best” or “perfect” type of anything. All I could hope to do was compile the version that made most sense to me. And to do that, I had to work out what Tennessee’s obsessions and motivations were when writing it and refusing to let go. And to find that out, I had to go to Texas. This is the world of Williams – all Southern Belles and raw masculinity; hot nights and tequila and piano music in the dusty streets. My first thought as I pulled up a chair in the reading room of the Harry Ransom Center in Austin was an odd sort of sadness at the realisation that I and my contemporary playwrights hardly write anything down any more, physically on paper. Any future collection of my own humble dramatic efforts will be assembled entirely on a USB stick. Where’s the romance in that? Thank God Tennessee was writing in a different age, where his typed manuscripts still bore the coffee stains and the yellowing of cigarette smoke. Where his actual, real-life handwriting adorned the pages (I got far too excited by this). It’s funny how, when playwright meets playwright, the first thing we often want to talk about is not the themes of our work, or style or form or all that arty stuff. It’s what font we type in. Do we double space? Final Draft or Microsoft Word? Get up early or stay up late? The process. Well here was a window into Tennessee’s. He wrote Sweet Bird hopping from hotel to hotel along the gulf coast – very much the world of the play. I know this because he typed his draft on the hotels’ own stationery, with their logos inscribed upon them. Names like “The St Charles, New Orleans” or “The Robert Clay, Miami”. It made it possible to track his progress through the States and through the play. As though he were chasing it back to his own troubled past in the South. Or running from something in his present, perhaps. It was seeing comparatively mundane aspects of playwriting that excited me – like watching him search for character names (which always feels overly important – I’m sure my contemporaries will agree). He got more confident and romantic. Valerie becomes the much more quixotic Heavenly. Phil Beam becomes the more screen idol-sounding Chance Wayne. As Kim Cattrall, who plays the Princess, also known as Alexandra Del Lago, in our show, observed in rehearsal to me: once our hero was given that name, his tragic fate was sealed. Punctuation is also important. It was a thrill to work out Tennessee’s code – how his ellipsis (…) would differ in meaning to a dash (–) in ways that are different from my own. These are a writer’s tools (I’ve recently discovered the joy of the semicolon in expressing the intended rhythms of my sentences). In building my own draft, it felt like slipping on someone else’s tool belt. It wasn’t mine, but it fitted. And so what are the results? Well, I encourage you to come and see. My commitment from the beginning, in uniting the different narrative strands, was to return the play to Chance Wayne. Possibly this is because his dilemmas resonate so strongly with my own. He is 29 years old, and so was I when I began, obsessing irrationally about age in that hinterland between youth and middle age. He is beginning to panic about the choices he has made, which render him unsettled when friends back home have grown roots. He is a self-destructive character, standing in the way of his own happiness in relationships and life due to his insecurities and flaws. He is paralysed by the unstoppable passage of time, and his inability to reconcile past bad behaviour. Ditto, ditto, and so on. And it’s this raw pain that I have tried to bring to the fore, amid all the poetry and romance that is standard Tennessee. Everything that hurts about the human condition is here. Tennessee once described this writing period as the toughest of his life. He looked himself straight in the mirror and asked hard, ugly questions about what he saw. I think it only right we don’t shy away from that here. That’s not to say it isn’t funny. Because life is funny, even when it hurts. That’s not to say there isn’t humanity, and hope. There is hope simply in the writing of, and telling of, and in our case retelling of, these stories. Because in getting together in theatres and looking at who we are and what we do, there must always be hope that we can save ourselves. Following on from my post about mime a few days ago, I have found audio interviews with the some of the performers I mentioned, courtesy of Exeunt Magazine. When I saw this tweet this week I was intrigued. I wrote about Not I recently but a play that lasts 12 hours? I got researching. It is the first time I have heard of the Nature Theater of Oklahoma and their work, Life and Times. I started to read the reviews for the show (which is not yet finished – it will be 24 hours long when it is complete) and they were uniformly rapturous – usually getting 5 stars – The New York Times, The New Yorker, The Telegraph – and so on. So what is it all about? Sixteen hours of telephone conversations will eventually form 10 episodes to make 24 hours encompassing the whole of a young life. The chats used as raw material for the piece are all collected from Kristin Worrall, a performer and musician who works with the company and were promoted by the question, Can you tell me your life story? 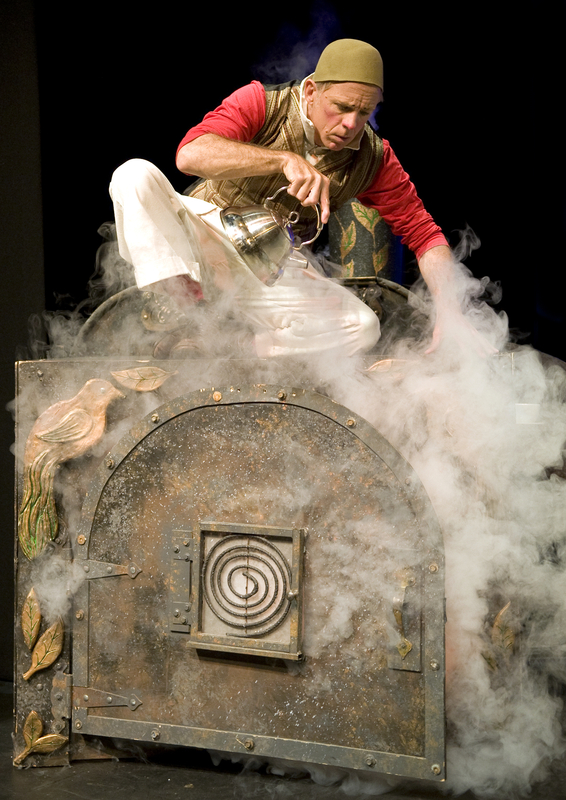 You can read about the whole, totally fascinating process here in an article entitled ‘Theatre is awkward, weird and dirty’: Nature Theatre of Oklahoma head this way. There is some more great information here. The Life and Times draws its source from the minutely detailed narrative that Kristin Worrall, a member of the Nature Theater of Oklahoma, transmitted by phone to Kelly Copper and Pavol Liška. For 16 hours, this 34-year-old American answered their questions, recounting her very ordinary life, from the cradle to the present day to them. From birth to the age of seven, then from eight to 14, from the most trivial to the most striking memories, episodes 1 and 2 probes her childhood and early adolescence in a cosy American suburb. It is the period for first times, first emotions, first pain, first rebellion: the period in which molehills seem like mountains. This daily life obviously has something to tell us. We share it in one way or another. It concerns us but, the victims of habit, we no longer see it. Kelly Copper and Pavol Liška’s idea consists in fact in giving this banality a literary, aesthetic and emotional value: the phone conversation was therefore transcribed word for word, without any cuts or corrections, including the “huhs” and “ums”, the “you knows” as well as digressions, slips of the tongue and pat expressions. 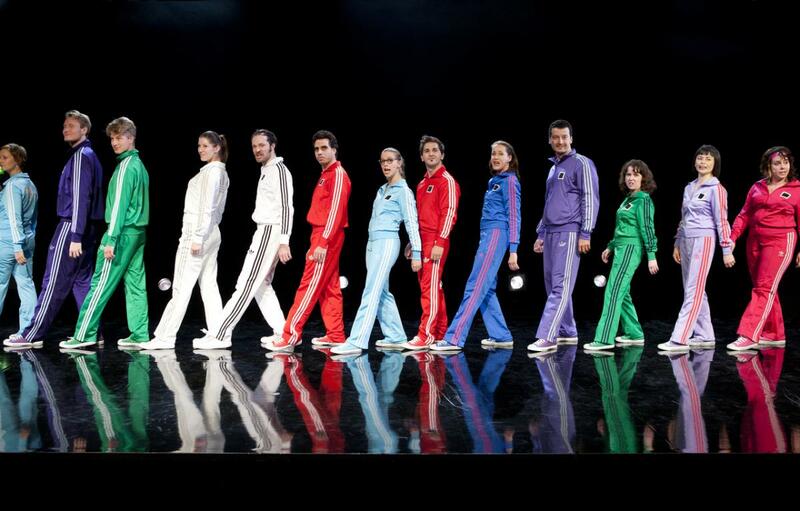 Set to music and sung in the image of a musical, rigorously choreographed following a totally Soviet inspiration, the conversation turns out to be a genuine dramatic chronicle. Funny, intelligent, fetishist, hypnotic through their repetitive loops, the first two episodes of Life and Times, among the 10 that the cycle will have, which can be seen consecutively or separately, have the virtue of establishing an almost inseparable relationship between the actors and the spectators. Anyone can become dependent on them, in the same way as we can become dependent on an American TV series that goes into the thousand and one details of daily life. But here we also discover all the magic of theatre: regulated with virtuosity, the acting of the fabulous actor-singers constantly challenges the spectators who identify with this bittersweet apprenticeship of life.